This is a list of the usual stuff the CKUT 90.FM Arts & Culture department needs help with. If you want to get involved, find out how to become a CKUT volunteer here and get in touch with us at culture DOT ckut DOT ca! Filling in for culture & arts shows or joining collective shows. These opportunities are open to trained CKUT volunteers, visit this page to find out how to become one yourself! 1) Station Tour: Join us for an hour to learn the ins and outs of CKUT! 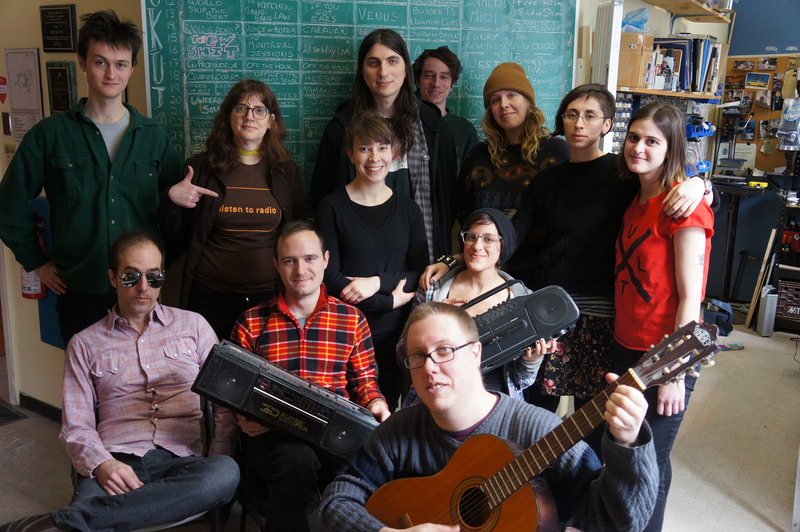 Take a station tour, meet staff and volunteers, and learn about the possibility of becoming a volunteer at CKUT and making community radio in Montreal. No registration is required – just show up to 3647 University (between De Pins and Prince Arthur).Station tours are every third Thursday of the month – at noon, 3pm & 6pm (and every Thursday in September and January) at Radio CKUT, 3647 Université (between de Pins and Prince Arthur). 2) Come to a Volunteer Information Session: After taking a station tour, you will receive an email invitation to come to our three hour volunteer information session. You must RSVP. There are limited spots. First come, first serve. 3) Fill Out a Volunteer Application Form: Once equipped with knowledge of the station, you can fill out a Volunteer Application Form. Don’t worry this is not a job application, just a chance for us to get to know you better! Preference is given to volunteers with prior knowledge and engagment of the station, listeners, those who have a concrete vision of how they would like to be involved at CKUT, and the current needs of CKUT. 4) Participate in Mandatory Training Sessions: Based on volunteer applications, we will invite a limited number of people to participate in training. You will learn everything you need to know to start producing radio at CKUT! If you don’t get invited back first time around, you can learn more about the station and put your hat in the ring a second time! 4) Become an Active Member: Fill out a volunteer contract and start making radio! Community members pay $10/year for a Membership Card. McGill students already pay $5/semester to Radio CKUT to cover their membership.